Our personal care Deodorant and Antiperspirants including degree, right guard, axe and dove are top quality products for keeping yourself smelling clean. Right guard deodorants from Dial are one of the top selling antiperspirants in the world now. Our small hotel size antiperspirants are perfect for selling in little hotel stores and convenience stores as well. Procter and Gamble Secret Powder Fresh Antiperspirant Deodorant 1.7 Oz. 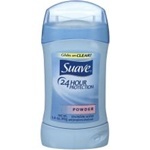 Unilever Best Foods Suave Antiperspirant Solid Powder Deodorant - 1.4 Oz. Unilever Best Foods Suave Antiperspirant and Deodorant Powder - 2.6 oz. Unilever Best Foods Suave Antiperspirant Powder - 4 oz. 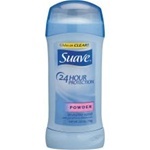 Deodorant Antiperspirant Suave Baby Powder - 6 Oz. Antiperspirant Suave Fresh Aerosol - 6 Oz. Antiperspirant Suave Invisible Solid Fresh - 2.6 Oz. Antiperspirant Suave Roll-On Powder - 2.7 Fl.Oz. Old Spice Deodorant Original - 2.25 Oz. Old Spice Deodorant Pure Sport - 2.25 Oz. Deodorant For Men Invisible Solid Absolute Protection - 2.7 oz. Deodorant For Men Absolute Everest - 2.7 oz. Old Spice Classic Wide Original Solid Deodorant - 2.25 oz. Deodorant and Antiperspirantsf for your hotel guests and clients to stay clean smelling. Why not stock up your sons and daughters at college with a whole case of antiperspirant. This makes for a great gift package.